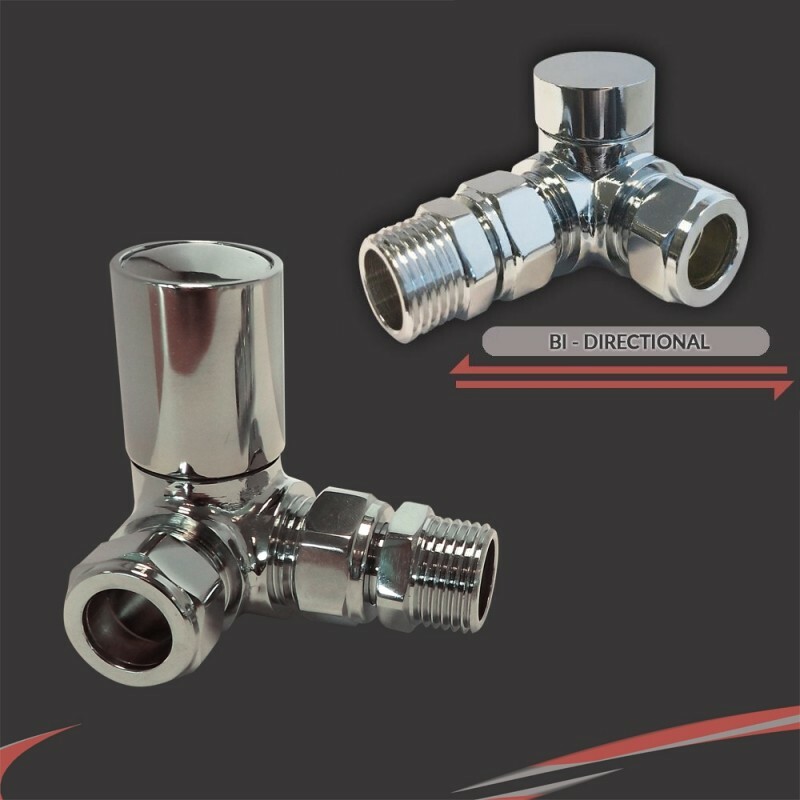 Our Corner Chrome Valves are suitable for installation of your Radiator or Towel Rail onto your central heating system. The valves have standard 1/2 inch BSP threads and fit onto 15mm pipework. The brass base and chrome plated finish is robust and versatile and compliments a variety of products and colours. Why Buy These Chrome Valves? "Our Corner Chrome Valve Sets are suitable for installation of your Radiator or Towel Rail onto your central heating system. The valves have standard 1/2 inch BSP threads and fit onto 15mm pipework. The brass base and chrome plated finish is robust and versatile and compliments a variety of products and colours." NOTE: If you are fitting your valves to 10mm pipework you will also need to purchase a pair of internal reducers which are compatible. - Our range of valves are designed in house and manufactured at our modern factory. - The quality finish is achieved from the sourcing of high quality brass with over 50 microns of chrome. - All of our valves are supplied with our 5 year manufacturer guarantee. (Euronorm BS EN 442). NOTE: Please do not compare this product with cheap imports, which will be aesthetically less appealing, manufactured with a thin plated chrome which produces a poor finish.